The eighth annual Sunshine Beach Run for Red Nose will take place at City Beach on Sunday, March 10. The event was established by West Coast Eagles physiotherapist, Chris Perkin, in 2009 following the tragic loss of his stillborn son Jake, and a few days later his wife, Cindy. “On my eldest son Ben’s sixth birthday, Cindy was rushed into hospital for an emergency C-section to deliver our stillborn son, Jake," Perkins revealed. "Just four days later Cindy slipped into a coma in the middle of the night and died shortly after. Click here to visit the official Sunshine Beach Run for Red Nose website! 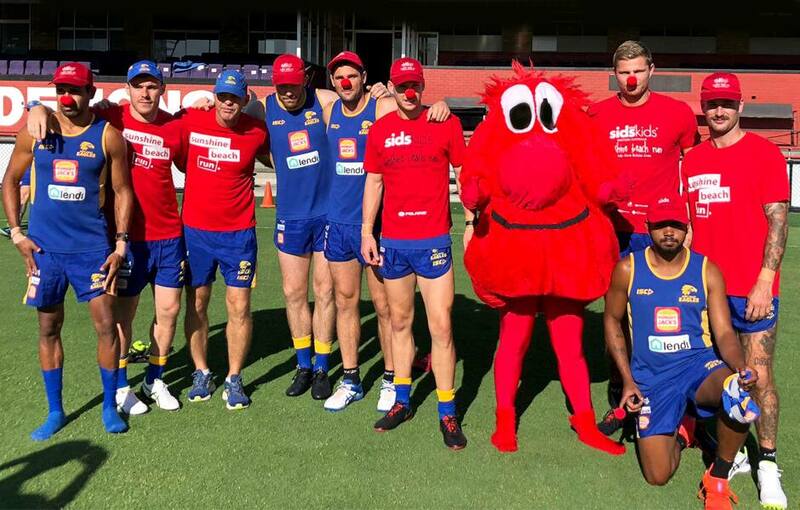 Recently appointed Red Nose chief executive Keren Ludski, who is travelling from Melbourne to participate in the March event, said the Sunshine Beach Run was an incredibly important event for Western Australian families. “This event is very special in connecting the community, families and honouring little lives that are no longer here and I am looking forward to participating in the 2019 run,” Ludski said. Ludski is a bereaved mother herself, having lost her son, Ben, to SIDS on Valentine’s Day in 1999. “My personal healing journey started with Red Nose and now, just over 20 years later, I have begun my new chapter as chief executive of Red Nose. “As Ben’s legacy, my mission is to make sure no other child dies suddenly and unexpectedly and through the support of events like the Sunshine Beach Run I hope we can make that happen,” she said. The Sunshine Beach Run takes place on Sunday, March 10 at City Beach from 7am to 11am. Participants can run or walk 1km, 3km and 5km distances and take part in a wide range of fun on day event activities, including a celebrity beach sprint, surf club display, face painting, market stalls, food vans and a visit from West Coast Eagles players.